Amiens is a small town about an hour to the north and west of Paris. It is picturesque, dominated by a large cathedral designated by the United Nations as an object of "world heritage." Aside from the cathedral, which can be seen for miles around from the surrounding farmland, the chief interest of Amiens is that it is located in the Somme, about 30 miles from one of the largest and bloodiest battles of World War I - The First Battle of the Somme. Over 1 million casualties were incurred on the British, French and German sides from July 1 to November 13, 1916. The bodies of the dead were interred in massive cemeteries near the battle site. The British thought this battle would end the war, but they were mistaken, as the place became the site of bloody combat again in 1918 (Encarta Online Encyclopedia 2000, n.p.). In spite of the Somme being rural, many trades people speak English, owing to the large number of British visitors seeking the graves of relatives who left home long ago, and never returned. Amiens was the setting for the Premiere Congres Mondial de Sports de Combat et Arts Martiaux (First World Congress on Combat Sports and Martial Arts), held from March 31 to April 2, 2000. Given its place in history, Amiens was a fitting, or perhaps ironic location, depending on your point of view. There have been other conferences on martial arts. I recall hearing about one held in India in the 1980's. A much smaller gathering took place in Japan last year. Given that, I believe the Congress probably was the first of its kind in terms of projected scope. It was sponsored by the Faculte des Sciences du Sport of the Universite de Picardie Jules Verne, with additional sponsorship provided by the Journal of Asian Martial Arts (JAMA). Conference facilities were provided by the Universite, so presentations were given in a large (and often cold) lecture hall on campus. Michael DeMarco, publisher and editor-in-chief of The Journal of Asian Martial Arts (JAMA), gave the keynote address, "The importance of martial arts research and practice in the world's new millennium," on Friday afternoon. DeMarco spoke, among other things, about the possibility of the good martial arts practice can do, not just for fitness, but for health and even spiritual well-being of people of all ages around the world (DeMarco's address is available in JAMA 9:2 (Summer 2000)). Oddly, the discussion that followed ended up with some of the Europeans buttonholing the few Americans present regarding the surfeit of violence in American society, and the prevalence (as they understood it) of Ultimate Fighting contests. The Americans countered that Ultimate Fighting was not "prevalent," and had, in fact, been banned in most states. As small as this conflict was, it was illustrative of one of the many divisions, as I saw it, between the US and Europe in terms of how martial arts is seen, defined, analyzed and written about. A large variety of papers had been accepted from around the world, along with numerous poster presentations. 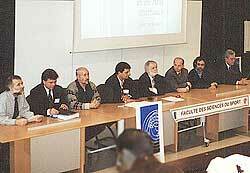 However, in the end, though billed as a "world congress," the participants were largely French. That being the case, judo was the martial art form most often discussed, being the most popular martial art/sport form in France. Discussions of judo, and to a lesser extent, Taekwondo dominated the proceedings from every conceivable physical angle, from "Anthropomorphic determinants of kick force in Olympic Taekwondo athletes" (J. Hejmans), to coaching strategies (G. Avanzini), to adapting judo for variously disabled students (B. Gilles, J. Turpin, S. Cremieux et al. ), to analysis of different falls in judo (M. Dampenon) and many other physical aspects. In total, about 40 papers and eight posters were presented. Papers were accompanied by sophisticated PowerPoint graphics and streaming video. Though I'm no expert, I feel I can say with some assurance that it was probably the most thorough raking of the physical aspects of martial arts (at least judo and Taekwondo) ever given in one place and time. I was accepted to present a poster at the event, though as the proceedings wore on, I realized that my topic, "Modern samurai: Interculturalism in Asian martial arts," was entirely lost on the attendees, and it wasn't the solely due to the language barrier. As the reaction to Mike DeMarco's opening address made clear, the European participants were simply not as interested in the social, cultural or even spiritual aspects of martial art practice. Likewise, they were not interested in more obvious issues that some of my US academic colleagues might raise: gender and age issues, for example. I couldn't help but think that if the next world congress were held in the US the proceedings would be very different. The question remained, however, why weren't these issues addressed in France? In the first place, though there were three presentations scheduled that specifically addressed "women" ("Les sports de combat au feminin," by Claire Carrier, "Femmes et Boxe: un mise au poing," a poster by C. Dorville and B. Gresser, and a poster analyzing heart rate improvement in female Olympic Taekwondo team athletes) there were only about five women in attendance, two of them being student translators hired by the conference. The dearth of material addressing women's history, current roles and legacy in martial arts simply didn't exist because the women simply weren't there. There was ample material for discussion, however. G. Avanzini's presentation on coaching judo from the sidelines featured streaming video of a coach shouting from his seat while two young women (one his student) wrestled on the mat. The coach's student seemed to be afraid of her opponent, constantly retreating, while her opponent bore down on her, as the coach bellowed from the sidelines. Unfortunately, by the time Avanzini finished the presentation, there was no real opportunity for questions due to time constraints, but I have a few: Why was she afraid? Was she forced to compete before she was ready? How did the coach follow up this episode in the next class? The issue of children came up in a few presentations, for example, one that examined expectations of beginner karate students, but it was eventually revealed that age didn't come up much because it was a given: one presenter pointed out that 70% of French judoka are under 15 years old. Given the potential danger of judo competition (unlike Taekwondo, participants do not wear protective gear), I wondered what issues might be contained there as well which were never addressed. One presentation on the occurrence of skin lesions after judo practices ( D. Barrault) suggested cleaning mats more often as a means of prevention (if my child came home from the dojo with skin lesions, I might suggest she take up soccer). At least the issue of older people taking up a martial art was addressed by Yang Yang, a graduate student and Chen style taiji practitioner who presented on a study done on older individuals who took up taiji and its subsequent effect on heart rate and blood pressure (incidentally, Yang Yang was one of the few Asians to present at this world congress). As I listened to paper after paper, I wondered why none of these other issues were raised more fully. Additionally, none of the issues raised by my poster - sportification, commercialization, fraud, and preservation of koryu - were brought up at all. I finally realized that the presenters, who were a pretty homogeneous lot, were not dealing with any of these issues because they had already decided among themselves, unconsciously or not, what the issues to be addressed were. Unlike a more diverse group, the issues I was largely concerned with had already been dealt with in some way, or perhaps in the way I already mentioned: women didn't exist, children were a given, and judo belongs to France. As it turned out, I was not the only person present who was less than fully satisfied with the way the proceedings went. On Sunday afternoon, the closing address was given by Mark Habersetzer. Though I was not sure of his academic credentials, it was obvious that Habersetzer, a graying but still large and powerful-looking man, was a martial arts teacher of some status. He was the only participant whom I heard others address as "sensei." While he did not deal with some of the issues I had been wondering about, Habersetzer did make up for some of the relentless focus on physicality that had taken place up until this point. He took the congress participants to task for ignoring exactly what I, and apparently others, had been missing. He sat through three days of presentations, he said, without hearing anything about the one aspect of martial arts practice that set it apart from other activity--the spiritual aspects. Though he noted we no longer lived in the middle ages, spiritual qualities of martial arts practice can and should be taught as part of practice, through a philosophy he called shin budo. 1. Knowledge is synonymous with technique, but with cultural background, i.e., the historical and spiritual aspects - intact. Don't just teach the technique, teach its background. Where did it come from? Why was it developed? 2. Teaching should be the exchange of techniques among students and practitioners. Teaching students should be "teaching ourselves;" i.e., teachers can and should learn a great deal from their experience of teaching. 4. Use of "bunkai" & application - in martial arts to gauge effectiveness of technique. Habersetzer stressed that the techniques, knowledge, and teaching methods are different in martial arts as compared to combat sports, something he felt the Congress participants had ignored. Moreover, tradition should be central, though people should not become slaves to tradition, either. Tradition "must serve man [sic], but not make him like a robot." Instead, tradition needs to be adapted to become "tradition vivante" - a living tradition. Habersetzer pointed out that competitiveness and violence have changed martial arts practice. Media violence and greater means of spreading actual violence (availability of weapons, etc.) has accompanied the world circulation of martial arts. Real martial arts practice involves concepts such a definition of what you're doing - and response from students - to do something and then answer questions from your students. Habersetzer stated that if teachers stick to this approach their practice will gain credibility. With regard to competition, Habersetzer recalled his early days, when he competed in tournaments, but participants also worked out together and shared techniques. These aspects of martial arts practice are being lost in the relentless interest in competition. To become a champion is good, Habersetzer said, but the important part is, what are you doing for humankind? Habersetzer's remarks won on the applause meter, but they also sparked some dissent. One participant became incensed, suggesting that the Congress proceedings were "scientific," and that those looking for spirituality could "go to the cathedral across the street." Others countered that there was nothing "pure" about science, and that it also had an agenda it endeavored to fulfill (the Americans seemed to take the lead on that issue). After a period of debate, it became clear that there would be no consensus on Habersetzer's remarks, we were out of time, and the Congress drew to a close. Afterwards, my thoughts kept drifting to the differences in approach to martial arts practice even in my small experience; everything from "traditions" being invented out of whole cloth in the US to the simplicity of actual Japanese dojo I had visited, and all the places in between. I thought about the cemeteries in the Somme, too, filled with unwilling victims of the first truly modern war. Mike DeMarco's "Editor's Notes" in the 9:2 issue of JAMA underscores the historical aspect of the Congress being a first step to organize understanding of martial arts study and practice on a world scale. Though a beginning, the First World Congress on Combat Sports and Martial Arts only scratched the surface of martial arts practice as a human activity related to warfare, yet distinct from it. We had not even really defined our topic very well (Is it a combat sport? A martial art? Both?). Though it took until the very end of the Congress, I hope we realized that we cannot take our assumptions on the subject for granted. 2000 "Analyse du coaching en judo comme activite situee" paper given at the First World Congress on Combat Sports and Martial Arts, Amiens, France, 2 April. 2000 "Judo et rachis: consequences díune recherche federale" paper given at the First World Congress on Combat Sports and Martial Arts, Amiens, France, 31 March. 2000 "Les sports de combat au feminin" paper to be given at the First World Congress on Combat Sports and Martial Arts, Amiens, France, 31 March. 2000 "Art martial activite adaptee pour personnes handicapees" poster presentation at the First World Congress on Combat Sports and Martial Arts, Amiens, France. 2000 "Un obstacle a líapprentissage du judo: la LDS - etude de cas pour des eleves de sixieme" paper given at the First World Congress on Combat Sports and Martial Arts, Amiens, France, 1 April. 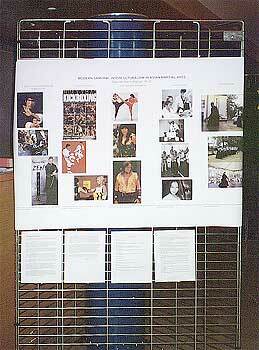 2000 "Femmes et Boxe: un mise au poing" poster listed in the First World Congress on Combat Sports and Martial Arts program, p.5. 2000 "Judo adapte" remarks given at the First World Congress on Combat Sports and Martial Arts, Amiens, France, 31 March. 2000 "Conference de synthese" remarks given at the First World Congress on Combat Sports and Martial Arts, Amiens, France, 2 April. 2000 "Anthropomorphic determinants of kick force in Olympic Taekwondo athletes" paper given at the First World Congress on Combat Sports and Martial Arts, Amiens, France, 31 March. 2000 "Modern samurai: Interculturalism in Asian martial arts" Poster presentation given at the First World Congress on Combat Sports and Martial Arts, Amiens, France. 2000 "Somme, Battles of the" http://encarta.msn.com, n.p. 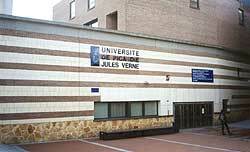 2000 "Le judo: un espace díadaptation socio-cognative" paper given at the First World Congress on Combat Sports and Martial Arts, Amiens, France, 31 March.